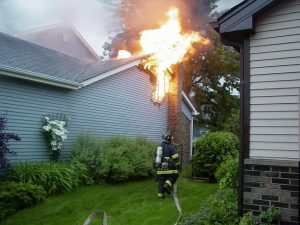 Taking specific preventative measures can help you protect your family, your home, and your possessions from a deadly fire. Fire accidents within a home happen more often than people think. In fact, the incidences of home fires have risen over the past couple of years. As a result, lots of lives and property have been lost in the process. Taking specific preventative measures can help you protect your family, your home, and your possessions from a fire. Even when they aren’t being used, you should turn off all electronic devices. In fact, leaving electronic devices on standby mode consumes minimal energy but the appliances increase the risk of a fire occurring. These appliances should be checked on a regular basis and service done to them as frequently as possible to keep them in tip-top shape. Ideally, you’ll want to make it a habit of checking your gas tanks to ensure that there are absolutely zero potential leaks. Sometimes, additional care might need to be taken when the tanks are being replaced. Also, you’ll want to always make sure that the regulator is properly secured. Any small gas leakage could result in a giant fire. Having a plan in place is the best pro-active thing that you can do to protect you and your family from a fire. In fact, having more than one exit plan is ideal. Sometimes, having a ladder made of rope should be kept on the upper floors as they will make the trip down easy. In the end, the best way to keep your family and home safe is with fire suppression systems. In fact, these devices are designed to protect people from a fire. As a result, there are a lot of different options currently available and it is important to select the one that will end up working best in your particular situation. This entry was posted on Friday, April 6th, 2018 at 1:45 pm. Both comments and pings are currently closed.